The marketing thread has some discussions of scoreboards. I thought it might be of value to look at some pictures and compare. These are the AL Central scoreboards. 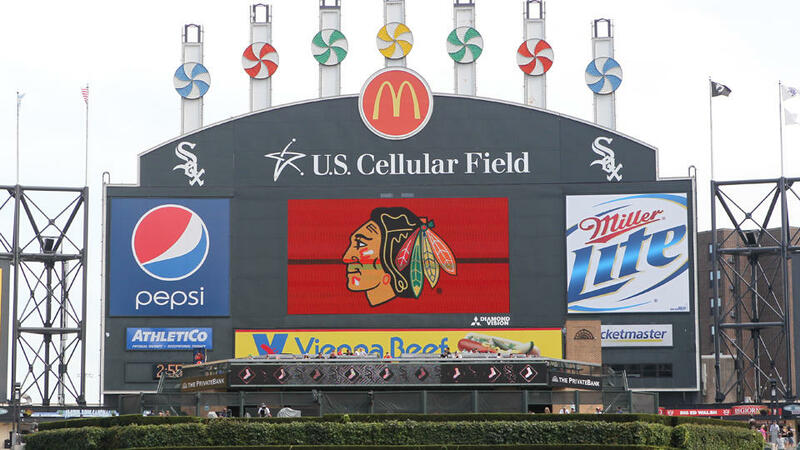 One thing to note is that for all the scoreboards on there (except US Cellular Field), the entire board can be used for HD Video when needed. My wishlist would be for a complete overhaul of the concourse area (starting to the right of the fundamentals area over to the Stadium Club)- while keeping the Fan Deck and statues, etc. Replace the "tinker toy" look with a look incorporating the "arches" from the old park and the outside of the current park. Elminate the "billboard" look- still have space for ads- but incorporate in a way that looks better. 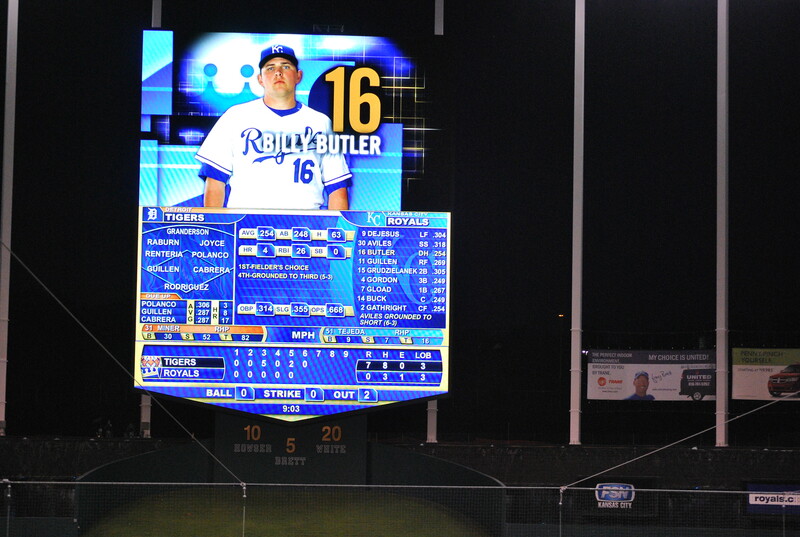 Add a single, contemporary scoreboard like the ones shown above- ideally incorporating some of the look of the old giant CF scoreboard at the old park. All of it sounds good to me especially the arches. Love the Toronto Blue Jays logo at Comerica Park. I saw that, too. That's funny. Did the ISFA pay for the other renovations at the park? As I recall Jerry paid for the other park renovations with the naming rights money. Butler looks like he's not even old enough to shave. That aside, we are long overdue for a update to the main scoreboard. The out of town board looks tons better than the main board even. Wow. 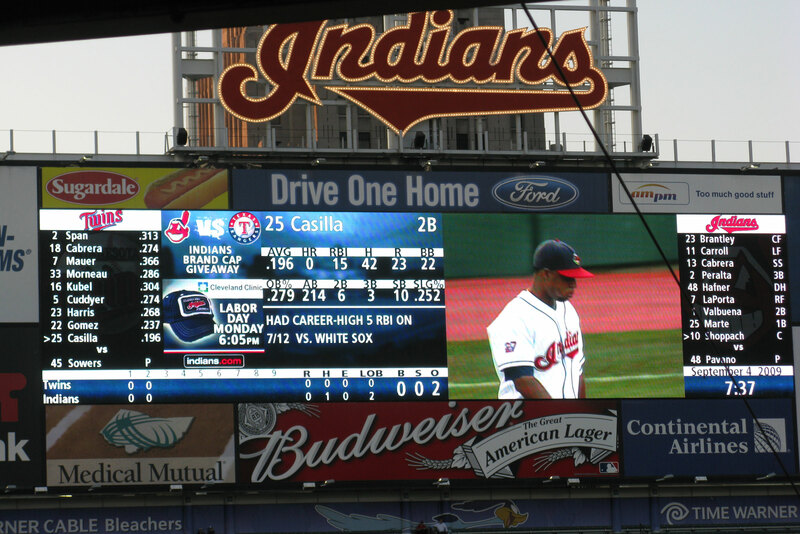 Seeing the pictures side by side really makes it clear how inferior the scoreboards are at the Cell. It would be really nice to have something like the others. I'm sure the other new stadiums around the league (Cin, Philly, Wash etc.) have similar fancy boards. This should answer your question. It's a pretty sad graphic. That's awesome information- great find. I like this graph of NFL video boards. Soldier Field ranks 25th. Wow. The west coast really has crap for their NFL teams.